Easily our most versatile collection to date. Going out on a business trip or weekend away in the Vineyards? 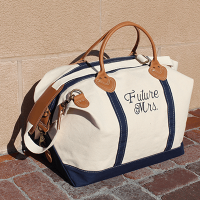 Don't compromise your sense of style while traveling, dress it up with our Navy Weekender and maybe even pair it with a matching makeup bag. Heading to the lake house over a long weekend or just need a sturdy, spacious bag to tote to and from on your daily commute? 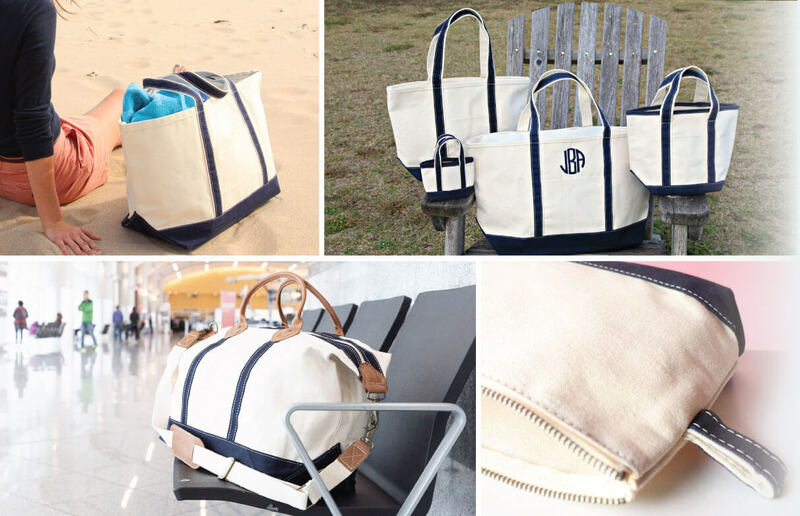 Keep it classic and dress it down with a more casual Navy or Gray Medium (or Large) Boat Tote. 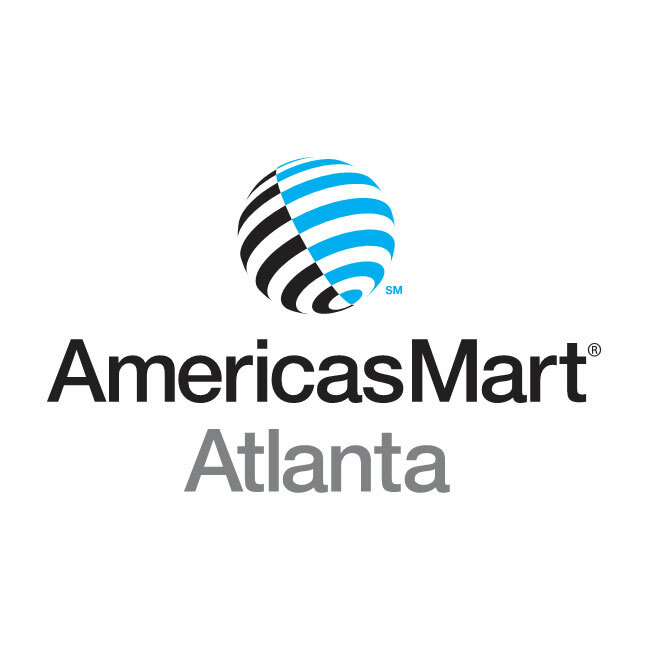 We love hearing from our customers and encourage them to share their experience on our online review sites. We know by reading our customer testimonials, you too will feel more confident using our services. See what we're up to... what's new and noteworthy in our office, our favorite things, upcoming events, and everything in between! Find gifts for any occasion at CB Station. 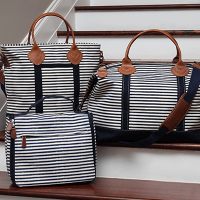 Whether you're searching for classic Boat Totes or Luxury 100% Cotton Towels, our online catalog makes shopping easy from the comfort of your home. We really do love your bags. The quality of them in amazing. I sent my sister with one, who is abroad, and she takes it with her on all her weekend trips. I wouldn't do that with a bag I knew wouldn't hold up. Keep making great bags. We especially love the waxed canvas bags. I love your canvas bags, especially the weekenders. They are exceptional quality and I love the real leather trim. The antique hardware is perfect! 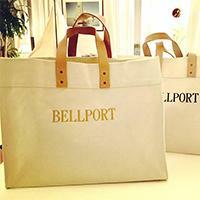 We love your canvas boat totes. They embroider beautifully. 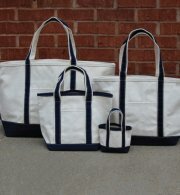 We sell them as baby bags with a design and name and as teacher, or work day totes with a monogram. They are great sellers! 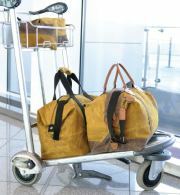 We love the quality of the weekenders and the travels bags for our customers. 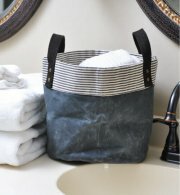 The leather trim and handles make the bags sturdy enough for travel and carrying heavier loads. We have never had a return on any of the cb station items for as long as we have been working with them The quality is perfect and the embroidery is beautiful. Love our personalized CB Station Advantage Utility Totes... truly a favorite among our customers! The canvas quality is rugged and the leather handles are so tasteful, they really bring another level of class to the bag. I can't wait to receive our next big order!! 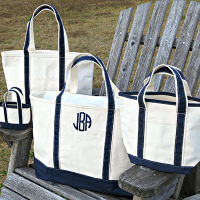 Building the Perfect Tote – For Me! I don’t want to say that picking out the perfect tote from the dozens and dozens of choices was the highlight of my week, but well . . . picking out the perfect tote from the dozens and dozens of choices on CB Station was the highlight of my week. 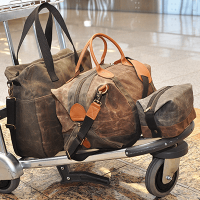 Sue me – I’m a tote geek. But seriously, CB Station has so many wholesale canvas tote bags it will make your head spin. But in a good way. What is the right size for a canvas tote bag? How can I pick just one when I don’t know what I might be doing? Do I need a small one for just carrying a few items to the beach? A medium one for a casual night out? A large one for gathering up everything the family needs for a road trip? Yes, yes, and yes. When I started looking at the pocket choices on these wholesale canvas tote bags, my true tote nerd emerged. Pockets on the outside, pockets on the inside, big pockets, small pockets, tiny pockets for keys. I mean, wow. Some of them even have Velcro dividers so I can customize my own space, and I can get one with an open top or a zip top. You mean I can get one of these personalized canvas tote bags, and I’ll actually be able to find something when I need it? Okay, then. One satisfied geek. Just picking out a handle is an adventure. Not only do they have all kinds of materials – rope, canvas, corduroy, web – they have sizes galore. Want a short handle for a beach tote? Or a long one for over the shoulder? Or just about anything in between? It’s a whole site filled with custom canvas bags made just for me. I just realized I haven’t said how great these wholesale canvas tote bags look. You think I’m going to schlep around town with some frumpy-looking bag? No way. We’re talking just about every color you can imagine: solid, two-tone, striped, you name it. I can get a canvas bag that goes with anything. And I can get a regular canvas tote bag or a waxed canvas bag. Have you seen this waxed canvas stuff? Looks like leather! (But doesn’t cost like leather.) I am one styling tote geek. 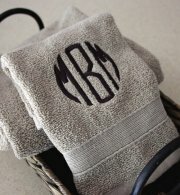 One last thing: You can design your own tote bag with a monogram. So after you pick out the bag that’s really you, you can make it really, really you. Imagine walking around with that monogrammed waxed canvas tote bag. Hmm. I just did. Imagine it, I mean. Okay, don’t tell anybody this part, because everybody will want one: Because they’re wholesale canvas tote bags, the price is right. So you don’t have to pick just one. I’m not going to say how many I bought, but I will say that I think I need a bigger tote. For all my totes. OH HEY! WE'RE CBSTATION AND WE SEND FUN EMAILS. Sign up below to get stay updated on our latest offers, newest product arrivals, and other noteworthy news. I agree to the EmailTerms & Conditions. By subscribing you agree to receive marketing emails from CBstation containing news, updates and promotions regarding our products and events. You hereby confirm that this is your email address and not that of someone else or that you have the proper authority to subscribe this email address. success! YOU'VE BEEN ADDED TO OUR EXCLUSIVE MAILING LIST AND WILL NOW BE AMONG THE FIRST TO HEAR ABOUT OUR NEW ARRIVALS, UPCOMING EVENTS AND SPECIAL OFFERS.